Shortly following a drug overdose in July, Demi Lovato entered rehab—the name and location of the facility she's staying at remain private, but it is reportedly known all over the world for addiction recovery. 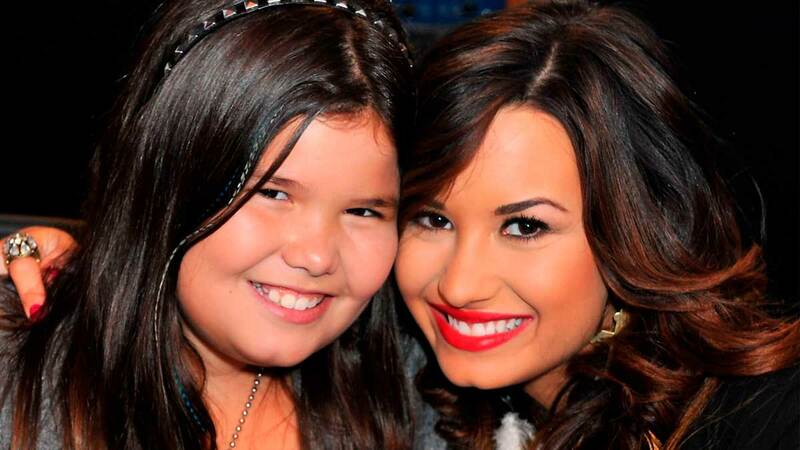 Lovato has been receiving treatment there for about two months now; no statements have come from Demi herself since her program began, but her mom Dianna De La Garza broke her silence in September, and now Demi's younger sister, 16-year-old Madison, has revealed more details regarding her progress and recovery. In an interview on the YouTube show Millennial Hollywood, Madison said that her older sister is "doing well." "She's working really hard on her sobriety and we're all so incredibly proud of her. It's been crazy for our family. It's been a lot," she continued. "But we've been through a lot together... I mean, if you read my mom's book you would know." In the book, Falling With Wings: A Mother's Story, Dianna De La Garza disclosed details on her troubled relationship with her first husband—father to her elder daughters Dallas and Demi—as well as her own struggles with addiction (to both alcohol and prescription medication). "Every time we go through something, we always come out on the other side a hundred times stronger than before, and so we've just been, um, we've been so thankful for everything. For the little things," Madison said. And it's precisely these little things that Madison says she wants to enjoy with Demi once she's out of rehab. Specifically, she's planning a fro-yo date. "Honestly, I'm more of a Pinkberry person, but she likes Menchie's and so we like we usually go there." And until then, Madison and Demi's family—as well as her ex-boyfriend Wilmer Valderrama—are reportedly all spending time offering love and support at her side.